Learn more about our products policies and procedures. Can't find your questions? Feel free to contact us. We strive for a 48 hour shipment time on all orders. How can I get my net price on an item? Pricing is variable depending on your specific pricing program. Please call customer service for your multiplier to use with the current list price. What are Sioux Chief's freight terms? 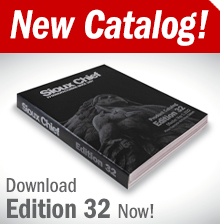 How can I get my order history with Sioux Chief? We encourage all of our plumbing wholesalers to create an online account with Sioux Chief. There you can see order history and check item availability. Where can I get specifics about an item, such as box quantity or installation instructions? This type of information is available on the website. Use the search tool to navigate to the item's webpage. There you will find box quantity, specification sheets, installation instructions and photos. Where can I get current list price for an item? Current list prices are available on the website. You may search by item number. Pricing is available on the webpage or a price index can be downloaded in Excel or PDF. How can I purchase Sioux Chief Products? If you are a plumbing wholesaler or retailer you can purchase from Sioux Chief directly. If you have never purchased from Sioux Chief before a simple credit application will need to be submitted, this can be obtained by calling customer service. If you are a plumbing contractor you may purchase Sioux Chief Products through your plumbing wholesaler. If you are a homeowner, Sioux Chief Products are available in retail stores such as Menards, Lowe’s, and many other hardware stores in the US and Canada.